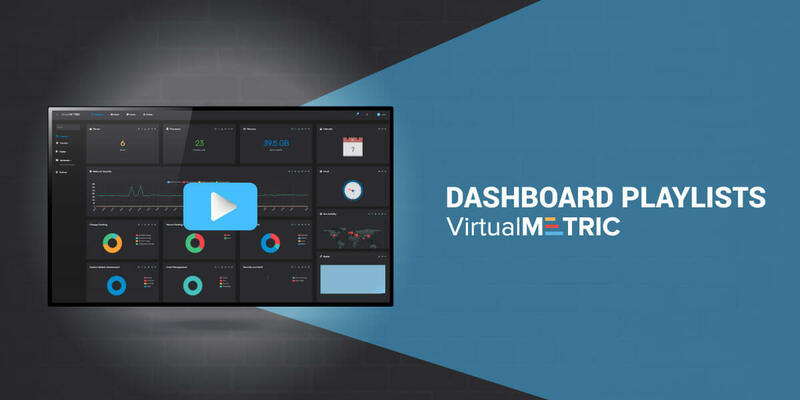 VirtualMetric Real-time Monitoring Suite is now supporting Dashboard Playlists, providing full visibility over your infrastructure and virtualization monitoring for your whole team. Monitoring a complex infrastructure is a hard task. We make it simple thanks to our new Dashboard and a bunch of functionalities focused on your user experience, time-saving and improving the efficiency of your team. The key to taking all the benefits from a monitoring solution for your physical and virtual environment is having a full-featured solution, which provides also a great UX and ease of use. By avoiding the complexity you will be able to find the information you need in a second, react fast to unexpected situations and solve all issues before they emerge.